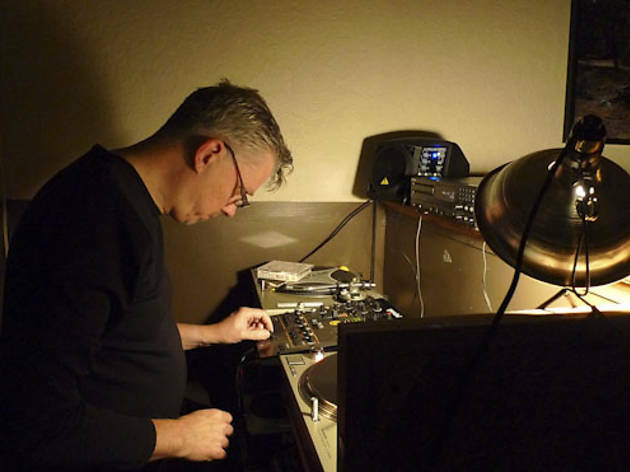 The former Sonotheque braintrust brings his eclectic parties to Bridgeport. Aside from Chicago radio legend Herb Kent, and the cowboy hat he never seems to be without, Joe Bryl likes to joke that he’s the runner-up for Chicago’s oldest DJ. At 58, with a DJ career that began in 1982, Bryl is certainly one of the scene’s elder statesmen. 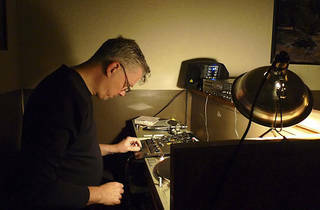 An integral figure in Funky Buddha Lounge’s heyday, where he was the club’s first DJ, the silver-haired selector is probably best known as musical director at Sonotheque, the futuristic Ukrainian Village DJ hang that existed in the current Beauty Bar space from 2002 to 2009. Even more eclectic and, in some respects scholarly, than the nights he’s thrown or booked in the past, Bryl is intensely focused on illuminating the call and response between seemingly disparate global musical movements. Breaking his philosophy down, he sounds a bit like the existential detective played by Dustin Hoffman in I Heart Huckabees when he’s explaining universal interconnectivity to Mark Wahlberg. “How can I make the connection between some track that came out in 1965 that’s a rare Afro-Latin track and then play some modern electronic Cumbian music and then move to an Afrobeat song and then move to a Detroit techno-ish track within a matter of 20 minutes and show that there is some interrelationship between this music?” Bryl asks. In an intimate environment like Maria’s, he has more freedom to explore the answer to that. Though Bryl has been contributing to events at Maria’s since it was remodeled in 2010, he officially took over as music director last month. “I kind of did a Mitt Romney, taking the Etch-a-Sketch and starting from page one,” he says of the shift. Scrapping a couple of too-out-there nights, he’s now focusing on consistent monthly themes like funk and soul 45 night Smokey Joe’s Soul Shack and Africa Freak Out, which explores the continent’s indigenous music and how it interacts with funk, soul, disco, pop and dance music. Bryl is also doing a similar thing with Secret Disco, a night devoted to disco and how it’s infiltrated other cultures. Growing up in the Back of the Yards, where he still lives, Bryl’s exposure to free-form radio on the city’s airwaves shaped his tastes early on. While the sounds of Tears for Fears, rainy-day saxophone jazz and tracks from the Drive sound track float around us, Bryl talks at length about the early punk and house-music scenes in Chicago and how he was equally invested in each. A fountain of musical knowledge—and knowledge of the arts in general, really—Bryl offers something few DJs these days can, the accumulation of 30 years of doing it. Joe gets funky at Maria’s Package Goods and Community Bar on Friday 7.